Markets.com has now regulated in South Africa as a Financial Services Provider under license no. 43906. They offer a minimum initial deposit requirement of $100. The default leverage is 1:50. 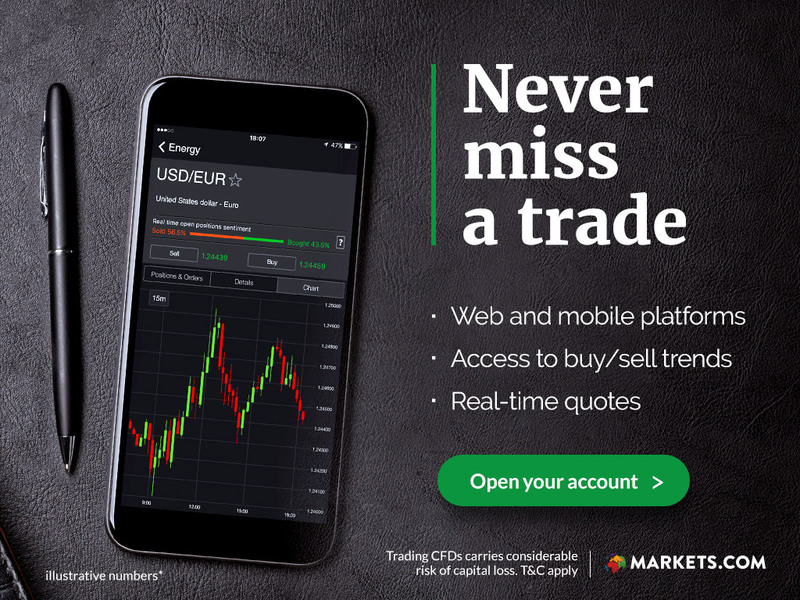 Markets.com offers over 2,000 different instruments to trade, including over 61 currency pairs. They also offer an affiliate program to earn without trading. Debate: Are cryptocurrencies here to stay? Ali Paterson, Editor of Fintech Finance & a “crypto believer” and Neil Wilson, Chief Market Strategist at Markets.com & an absolute crypto-sceptic, go head-to-head in a debate about whether cryptocurrencies like Bitcoin are here to stay. During this workshop you will practice online trading via a demo account by reacting to real market events from our economic calendar. A webinar presented by Markets.com describing the cryptocurrency Bitcoin to new investors and traders as well as a live trading example looking at various charts. Fund and withdraw from your FXPRIMUS using Bitcoin and trade all the international markets that interest you.